BAXTER Richard R., “Multilateral Treaties as Evidence of Customary International Law”, in The British Yearbook of International Law, 1965-66, Vol. 41, pp. 285-286. CASSESE Antonio, Violence and Law in the Modern Age, Princeton, Princeton University Press, 1990, 223 pp. D’AMATO Anthony, The Concept of Custom in International Law, Ithaca, Cornell University Press, 1971, 286 pp. DAVID Éric, Principes de droit des conflits armés, Brussels, Bruylant, third edition, 2002, 994 pp. HENKIN Louis, How Nations Behave: Law and Foreign Policy, New York, Columbia University Press, 1979, 400 pp. 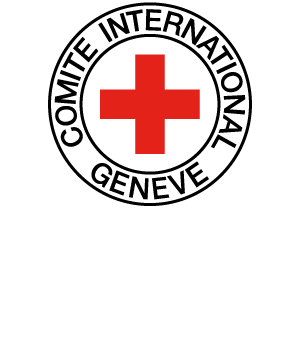 HUBER Max, The Red Cross: Principles and Problems, Geneva, ICRC, 1941, 171 pp. JENNINGS Robert Y., “What Is International Law and How Do We Tell It When We See It?”, in Annuaire suisse de droit international, 1981, Vol. 37, p. 67. LAUTERPACHT Hersch, “The Problem of the Revision of the Law of War”, in The British Yearbook of International Law, Vol. 29, 1952-53, pp. 381-382. LAUTERPACHT Hersch, “The Law of Peace”, in LAUTERPACHT Elihu (ed. ), International Law, Collected Papers, Cambridge, Cambridge University Press, Part 2, 1975. McDOUGAL Myres S. & FELICIANO Florentino P., Law and Minimum World Public Order: The Legal Regulation of International Coercion, New Haven/ London, Yale University Press, 1961, p. 50. ZAYAS Alfred M. (de), The Wehrmacht War Crimes Bureau, 1939-1945, University of Nebraska Press, 1989, 364 pp. While great care has been taken to establish and acknowledge copyright and contact the copyright owners, the authors tender their apologies for any accidental infringement. They would be pleased to come to a suitable arrangement with the rightful owner in each case.